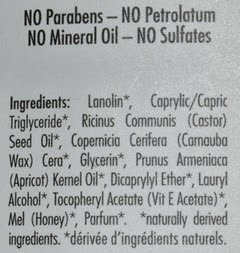 I love versatile products which is why when I tried Lanolip's Lovely Lanolin Golden Ointment and kept finding different uses for it, I made sure it's always in my handbag wherever I go. Packed with 60% medical grade lanolin, Manuka honey, apricot oil and vitamin E - ingredients that soothe, smooth, heal and rebuild the skin's natural protective barrier. For itchy skin. Allergy and ezcma, psoriasis sufferers can rejoice and stay off steroid creams with the use of this ointment for minor and temporary relief of itches. Even nappy rash can be soothe with this little beauty. On mozzie bites - A life saver when bitten, it soothes the bite and settles swelling. Now I just have to work out how to get those mozzies to stay away from me. As an ultra hydrating lip balm - when you'r lips are dry or chapped, nothings seals it and moisturise it like this ointment. It also has the slightly sweet taste of honey that makes it lip-smacking delicious. As a lip exfoliator - layer it on a thicker than you would use as a lip balm and leave for a few minutes before rubbing it off gently with your fingers to remove the flakies bits off your lips. Trust me, you will love the resultant kissable soft lips. for dry elbows and knees - it's the bee's knees for it (sorry, for the lame pun - I just couldn't help myself). As a heel softener - keep those feet happy and cracked heels at bay by rubbing a bit on and popping on a pair of cotton socks when you head to bed at night. In 2 weeks weeks, you'll have no cracks or rough heels in sight. As a cuticle cream - soften cuticles and treat rough/ragged bits from your fingers by rubbing this in any time your digits feel dry. For Minor burn treatments - it seals the burn and blister area and helps prevent bacteria getting in. It also helps skin to heal faster. As an intensive hand cream - too greasy for normal use but if your hand is super dry or like me, you do chores and wash dishes and hand wash clothing leaves your hands under stripped of moisture, then this will be your S.O.S ointment. As an extreme weather barrier - this is great for air travel or when visiting the snow where air is dry and thin. 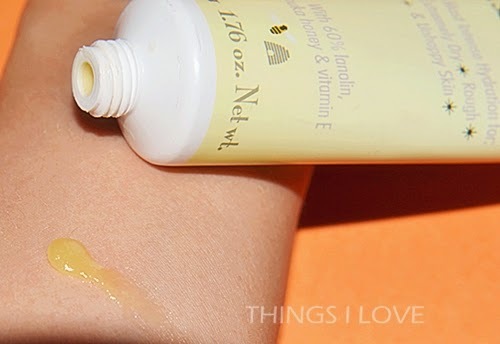 When applying on my face, I spritz a bit of water to wet it first to make the ointment spread more easily. As an after-shave balm - its soothes and calms irritated skin after shaving as well as provide hydration and less than a pin head size of the ointment is needed for rubbing in to the chin and each side of the face. So if you are after a multi-purpose product or just lacking space when traveling and want to pack light, pack a tube of this and you will be set for almost all sorts of skin situations. 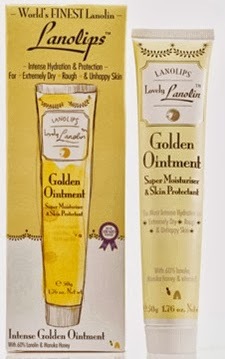 Lanolips Golden Ointment RRP A$28.95 for 50g at David Jones, Priceline, Adore Beauty online and Terry White Chemists.